Achieved your user acquisition goals? Congratulations. Now it’s time to cross your next hurdle — to build and retain your user base through engagement. Driving engagement is a challenging task that requires substantial investment, but the benefits are clear: acquiring a new customer costs anywhere from five to 25 times more expensive than retaining existing users. Engaged users are also more likely to introduce your app to their social circle, provide feedback, show brand loyalty and make in-app purchases. Below, I’ll touch on the factors and four strategies that make an app engaging, along with mobile engagement examples from some of the top startups we work with at Appster. 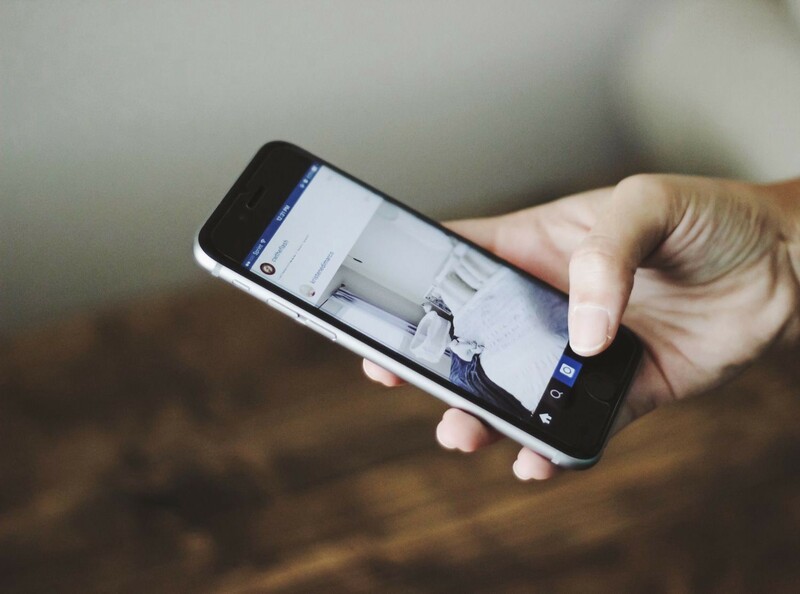 What makes an app engaging? The factors that make an app engaging will vary depending on its purpose and app experiences, and these can typically be classified into two categories: informational or experiential (escape). 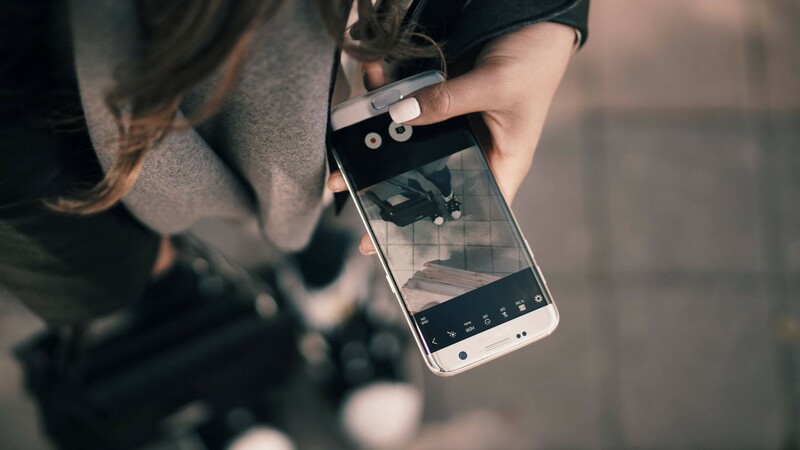 An example of the former would be Instagram or Gmail — where individuals can gather information — while the latter are games or similar apps that provide entertainment. A study conducted to test the impact of branded apps on consumers showed that informational apps had a higher likelihood of engaging users. To engage users successfully, the following factors need to be in place: ease of use, rewarding and functionality. The purpose that an app fulfills is also a key factor. This is especially so in an age where numerous apps are launched daily, leaving us bombarded with too many options to choose from. It’s much harder to define what makes an entertainment or gaming app engaging, as there isn’t a set list of factors or attributes. Stating otherwise would be the equivalent of saying that one can pinpoint the exact factors that made Pokemon Go viral, and replicate the strategy for another gaming app. But perhaps a secret sauce may exist. Companies that have created successful gaming apps share that it boils down to having a focus on quality, coupled with continual tests and iterations. I’ll be using Duolingo’s onboarding process to illustrate these factors. Users are first introduced to the app through four onboarding slides. 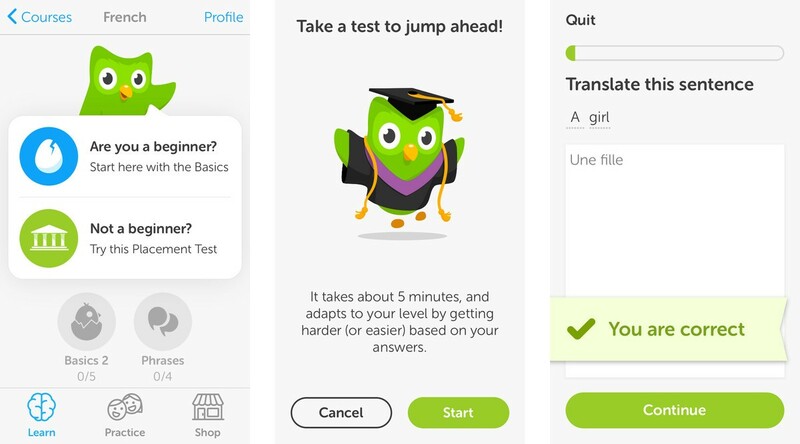 Here, Duolingo manages to communicate its value in a succinct manner — users know that they’ll be “learning through games”, and have their learning processes tracked as they progress through the levels. The simple design, along with cheerful graphics and bright colors convey that Duolingo offers a fun and easy experience. Instead of getting users to signup immediately, users are required to create a profile only after they’ve completed a few lessons. The signup process is also kept short and simple — users are only required to enter a username, password and email address. And while asking for information from your users helps in creating customised experiences, apps often run the risk of overwhelming users early on by requesting for too much information. Duolingo gets around the problem by presenting its users with just four choices to choose from. Right after setting a goal, they are then presented with two options: start with the basics, or take a placement test. Here, Duolingo strikes the right balance — these steps feature limited options and are easy to complete, yet enable Duolingo to collect sufficient information to provide personalized experiences for their users. 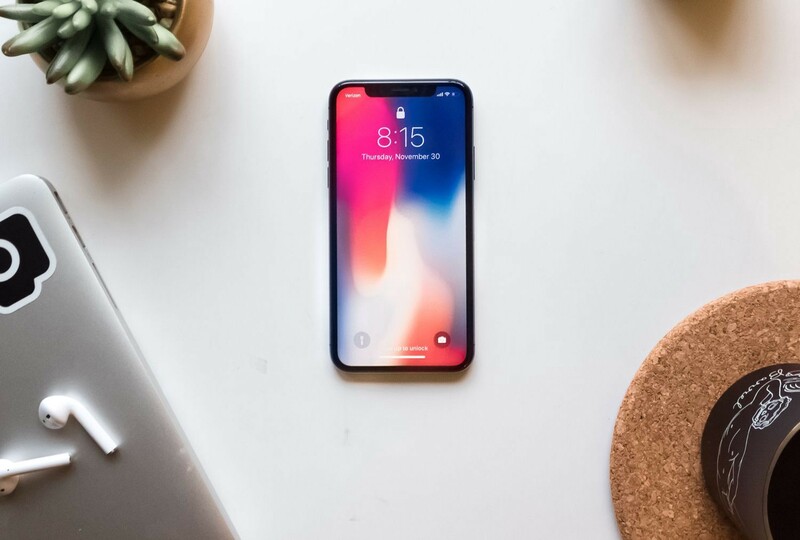 Push notifications are often a contentious feature in mobile apps — when poorly utilized, these notifications often result in users deleting the app out of frustration. Yet, they can also be key for engagement and user retention. According to Localytics, in-app messages drive 3.5 times more user retention. In addition, users who have enabled push notifications launch an app on average of 14.7 times per month. That’s a 171% increase in engagement compared to users who haven’t enabled such notifications (these users launch an app 5.4 times per month). The key lies in implementing a push strategy that’s well-timed and customised to the needs of your users. It takes into consideration who your users are, where they’re at and what they’re doing, and what relevance the app has to your user at a specific point in time. JetBlue’s push strategy is a great example. 24 hours before a flight is scheduled to take off, passengers get a notification to check in for their flight. And just 16 minutes before boarding time, the airline sends a notification about their in-flight entertainment, giving passengers the option of reviewing what’s available in advance. Both of these are short, timely reminders that communicate the following message to JetBlue’s customers: it’s a brand that stays on top of its passengers’ needs and strives to deliver an exceptional experience. While push notifications and in-app messages are effective ways to communicate with your users, fostering two-way interaction involves going beyond these channels to learn about their specific needs. Start with looking through the review and ratings that your app has garnered, as these are sources of feedback that let you assess the level of brand loyalty. Seeking out feedback from dissatisfied users — through email or in-app surveys that are activated when a user uninstalls — is a great way to identify specific areas for improvement. When it comes to getting feedback or reviews, there are two rules that apply: avoid pop up requests (it’s the surest way to annoy users), and seek permission from users about getting their ratings or feedback. I’d like to highlight strategies that had been implemented by Circa, a news, and entertainment service. Firstly, the app utilized an integrated rating, which was placed amidst its list of news stories. This way, users have the option of scrolling past, rather than have their app experience interrupted by a pop-up. 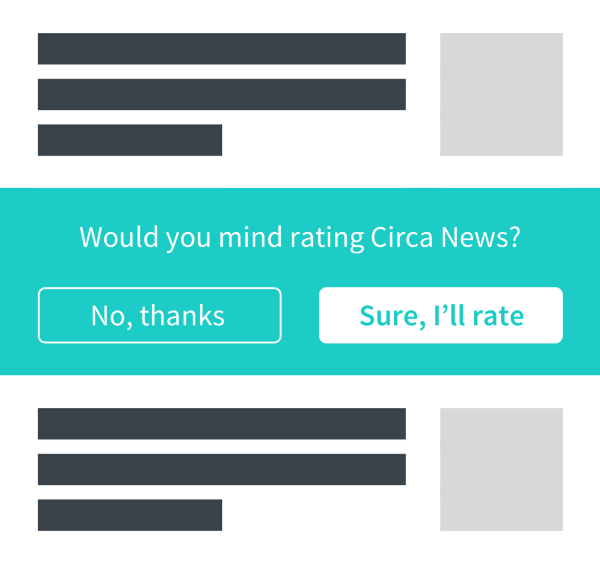 Secondly, Circa sought the permission of its users through posing a simple question: “Enjoying Circa News?” Users who responded with a “yes” were asked to rate the app, while those who responded otherwise were given the opportunity to provide their feedback. It’s important to pose your question in a timely manner so that you target the right users for feedback. In the case of Circa News, the questions were only presented to individuals who had launched the app 10 times, over a duration of three days to ensure that responses were collected from engaged users. And lastly, don’t forget about communicating to users that you’re listening to their comments, and working towards making improvements to address their feedback. When customers are aware that their feedback is taken seriously, they are more likely to provide it and will develop a stronger connection to your brand. It also helps to keep communication as personal as possible. For example, if you’re launching new app features, publish a social media post to let your users know that their comments helped bring about these changes. Looking to drive engagement? You’ll need to have a clear understanding of your users — and here’s where analytics come into play. Level 1 metrics, such as page views, MAUs (Monthly Active Uniques) and DAUs (Daily Active Uniques) provide an overview of your app’s performance with regards to engagement, retention, and monetization. As your company and user base grows, you’ll need to adopt a more complex level of analysis to get a well-rounded view of your app performance. Once you’ve gathered data across a set list of questions, you can then create user profiles based on key behaviors or demographics. Doing this will help you identify and understand how different types of users experience your app. Level 3 is where you seek out key behaviors that lead to long-term retention. Also widely defined as the ‘Aha! moment’, it refers to actions that separate users who find value in your app from those who don’t. To quote a few famous examples: former growth lead at Facebook Chamath Palihapitiya stated that getting users to reach 7 friends in 10 days was the “single sole focus”, while at Slack, the key growth action was an exchange of 2,000 messages between the team. And at Zynga, the best indicator of user retention was when a user would launch the app the day right after signing up for a game. Once you’ve identified high-value behaviors, work towards implementing product changes and strategies that reward existing users around these actions. This could range from providing coupons and discounts, to unlocking access to exclusive features and content. App experiences fall into two categories: informational or experiential. Functionality and ease of use are factors that make informational apps engaging. What makes an engaging app experience is harder to define for experiential apps, as factors vary across different apps. An effective onboarding process should communicate your value clearly, allow for quick, easy sign-ups and present information in a succinct manner. To optimise your push notification strategy, ensure that it is timely and customised to the needs of your users. Make communication with users a two-way process. Seek reviews and ratings from users in a thoughtful, non-intrusive manner, and communicate to users that you’re paying attention to their feedback. Tap on analytics to drive key growth actions. The third (and most complex) level is where you’ll seek out high-value behaviors that drive engagement and long-term retention. Implement strategies and product changes that reward users around these actions.